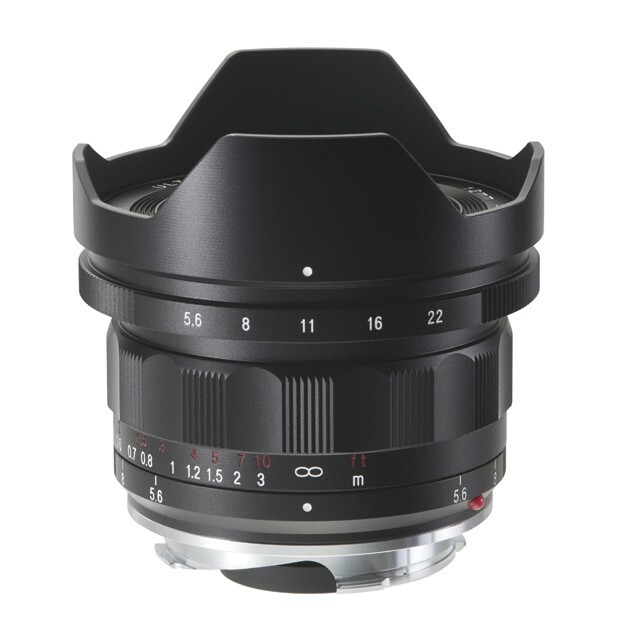 Extremely wide 12mm focal length available to rangefinder photographers the without breaking the bank. The Voigtlander Heliar Ultra Wide-Angle 12mm f/5.6 Lens is the widest rectilinear (non-fisheye) lens available for 35mm photography, with an angle of view of 121°. Despite this, it has minimal distortion for such a wide angle, and can focus to 11.8" from the lens. It has an M mount. Voigtlander recommends the use of a level for distortion-free photos.